Education Costs > How Much Does a Helicopter License Cost? How Much Does a Helicopter License Cost? Those who want to fly the great blue skies have the option of getting a helicopter license. While this license is going to be different than a pilot license, it is going to have the same type of training needs such as a certain amount of hours that must be logged and tests that need to be passed. The costs depend on which certificate you need and the school you choose. This is a hard question to answer since it will vary from school to school and how many hours you need to become endorsed to take your final test. On average, to successfully become a private pilot using a R22, the costs should be between $12,000 to $17,000. This is for the private license only and won’t include any training after. When pricing it per lesson, plan on spending about $250 to $375 per lesson. Each lesson will add about an hour or two to your log. The next step after the private helicopter license is the commercial pilot rating. In order to get here, however, you will need a total of 150 hours. If you were to meet the minimum requirements during your private license schooling at 40 hours, you would still need an additional 110 hours. At $200 per hour, this would be an additional $22,000 to add to the costs noted below. This rating will allow you to be paid and will allow you to fly passengers in a single-engine helicopter. To complete this training, it will cost about $6,000 to $9,000. Again, this will depend on how man hours you need. Refer to the chart below. NOTE: All of the prices noted above won’t include the written exams or any additional hours you may need to successfully pass. Instrument ratings can cost $12,000 for commercial and about $2,000 for a certified flight instructor. The Hillsboro Aero Academy, for instance, charges about $14,130 for the private pilot certificate and $34,011 for the commercial pilot certificate without an instrument rating. Most helicopter pilots will follow this path: student, private, commercial and certified flight instructor. Many pilots will often receive their instrument rating in between their private and commercial rating. The first step in getting your helicopter license is by passing the private helicopter license portion. This will allow you to fly a fixed-wing helicopter on your own with family and friends. You will, however, be prohibited from transporting cargo or paying passengers. You may be able to ride for a charitable event. A private license will require 40 hours of aeronautical experience. This will include 20 hours of training with an instructor, 10 hours of solo flight time and three hours cross country. It will also require three takeoffs and landings at an airport with a control tower and three hours of night training on a trip over 50 miles. These are the minimum requirements, and most pilots need more than this in order to qualify since an instructor has to endorse you based on your skill. The average helicopter pilot needs about 50 hours before they take their test. A commercial license will require pilots have 150 hours at a minimum with 100 as pilot in command. The average lesson will last about one to two hours and will include ground instruction and instruction while flying in the skies. Registration fees may apply and can be around $100 to $200. Supplies, as well as books, are going to be necessary for the classroom training. Supplies and books will cost anywhere from $300 to $700. Jeppesen learning materials, a kit commonly found at training centers, will cost about $300 for all the materials. Ground schools can cost about $40 to $60 hours and you will need about 10 hours of training, bringing the total to $400 to $600. A final exam and knowledge test will be required by the FAA. These exams, as well as the flight test, are going to cost around $450 to $700 total. The FAA knowledge test will cost about $150, while the check ride will cost around $500. To log more hours, many schools offer a flight simulator where a student can fly as if he or she was flying in a helicopter. This can cost about $100 per hour. A helicopter will have to be rented if you don’t use a simulator. To rent a helicopter, it will cost anywhere from $150 to $600 per hour. This will all depend on the type of helicopter you want. 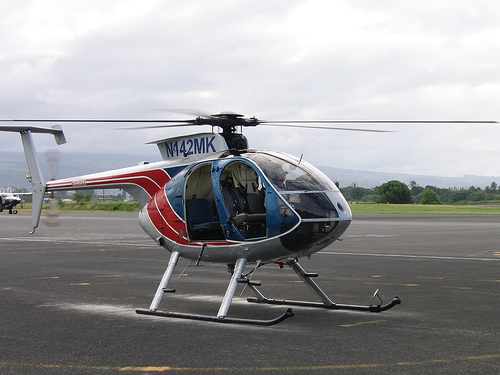 A R22, for example, can cost $250 per hour, while an R44 can cost $500 per hour. On top of renting a helicopter, if the student is still in the training period, an instructor will be required to fly and he or she will charge an hourly rate. A medical certificate will cost about $100 to $200. Housing, if you need it, will need to be planned for. Some school do offer housing options nearby or you can rent an apartment if need be. Renting a headset, if you don’t have one, can cost $5 to $15. In order to receive your private helicopter license, you must be a U.S. citizen, be at least 17 years old, endorsed by an instructor, pass a written knowledge test, meet flying time requirements, pass a practical test and hold a medical clearance. There is no age requirement to start training, though. To fly solo, you will need to receive a medical certificate. Most professional helicopter jobs will ask you have a minimum of at least 1,000 hours and the most common way to receive these hours are by becoming a certified flight instructor (CFI). Instructing allows you to teach other students while receiving your hours while training them. To become a CFI, you will need a minimum of 200 hours. Shop around since flight schools are going to vary greatly in pricing. It’s always best to check with at least three schools before making your decisions. Don’t just pick out the closest school or cheapest one. You will want to do a number of things such as talking with the instructor, checking the safety rating, looking at the graduation rates, and if job placement opportunities are available — the placement rate. Copters.com does a good job showing you what you should look for in a school. When coming down to purchasing learning materials, consider purchasing used books via websites, such as Amazon and eBay. Many schools offer financing options for those who can’t pay the costs up front. Those who have been in the military may be able to use their GI bill. Talk to the the school to explore your options.